Cloudy. High 82F. Winds SE at 10 to 15 mph.. Partly cloudy skies early. Thunderstorms likely late. Low 66F. Winds SE at 10 to 15 mph. Chance of rain 90%. 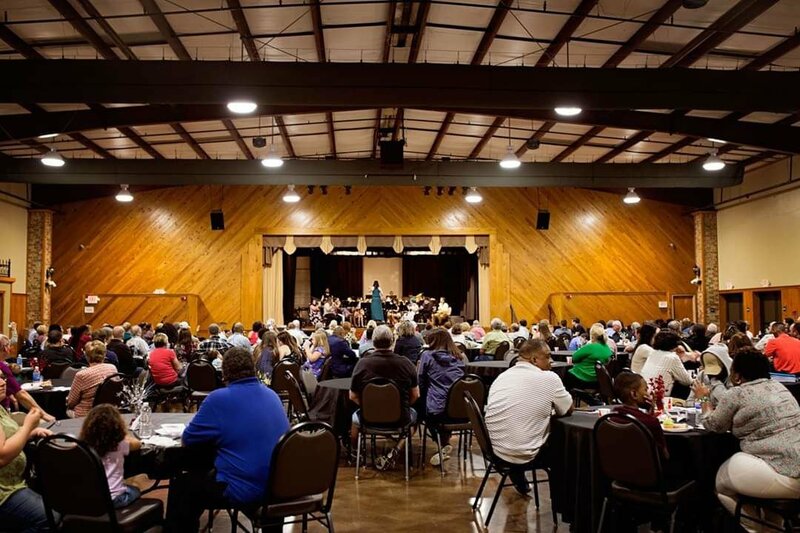 As storms ripped through the night sky Sunday, April 7, more than 200 people were safe inside the Addis Community Center enjoying two hours filled with music and desserts. Brusly High School’s band and color guard, the Panther Sound, treated the audience to a musical variety show packed with fifteen acts. There was something to satisfy every taste at the first annual “Sounds Delicious,” the Panther Sound’s spring concert and fundraiser. Individual musicians, duets, small ensembles, and the whole band served up favorites, such as songs from Disney movies, the theme to the TV hit “The Office,” an instrumental arrangement of pop star Lady Gaga’s song “Shallow,” and “Concerto de Aranjuez,” Joaquín Rodrigo’s classical masterpiece transformed into a jazz masterpiece by the legendary Miles Davis. Judging from audience feedback, the show was a triumph. “Delightful,” “fun,” and “impressive” were words that came up often in conversations over cakes, fruit, cheese, cookies, and confections of all kinds. According to Mayeaux, the event’s success ultimately belonged to the musicians and color guard. “The students worked up the concert entirely on their own. I had no part in picking the programming other than the large ensemble tunes. Students worked up and planned all of the individual and small ensemble pieces. I only created the order and offered advice when asked,” the Panther Sound’s director said. “I am extremely proud of what the students accomplished and can't wait for next year to put this on,” Mayeaux added. The Brusly High Band Booster Club and band staff supported the students and Mayeaux. The boosters supplied food, decorated the venue, and oversaw the fundraiser and raffle. Music teacher Amanda Wampler provided musical accompaniment and assisted students in arranging pieces. Brusly Middle School band director Chip Gustavson assisted Mayeaux and accompanied the Panther Sound’s percussion section. The Brusly High School band will hold its annual banquet on May 5.